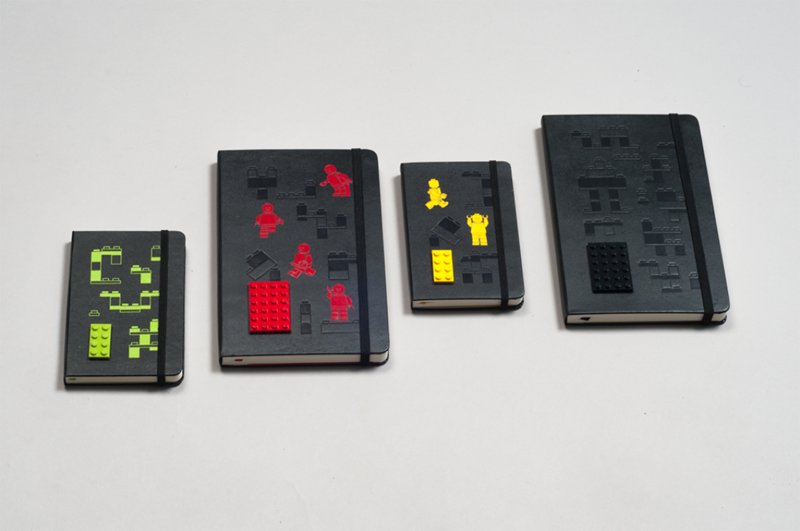 Moleskine wanted to develop a Lego Special Edition and I was asked to design covers that would incorporate an actual Lego piece. 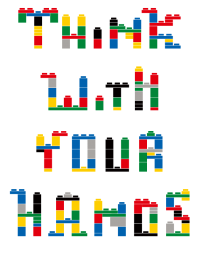 When I was a kid, I was a huge fan of these colored bricks and so I drew from my memory. 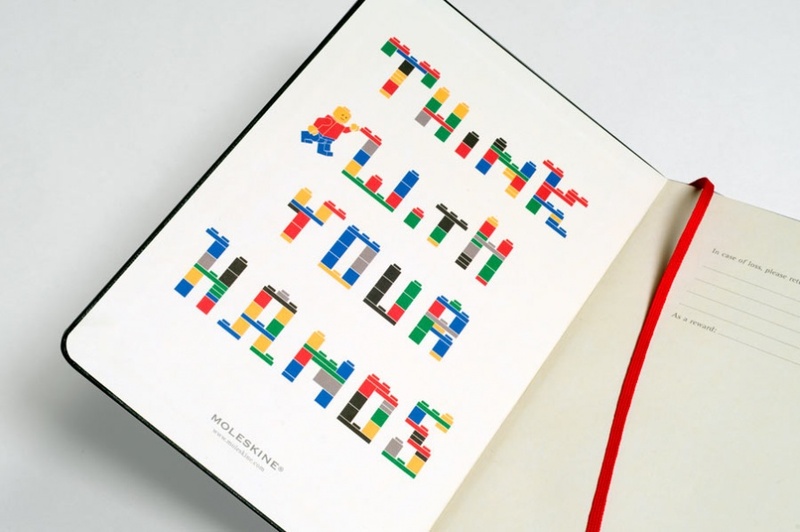 The first idea I had was to use the feeling of the iconic 3-D Lego instructions – however those instructions have been replaced with a new corporate identity that incorporate the little men. 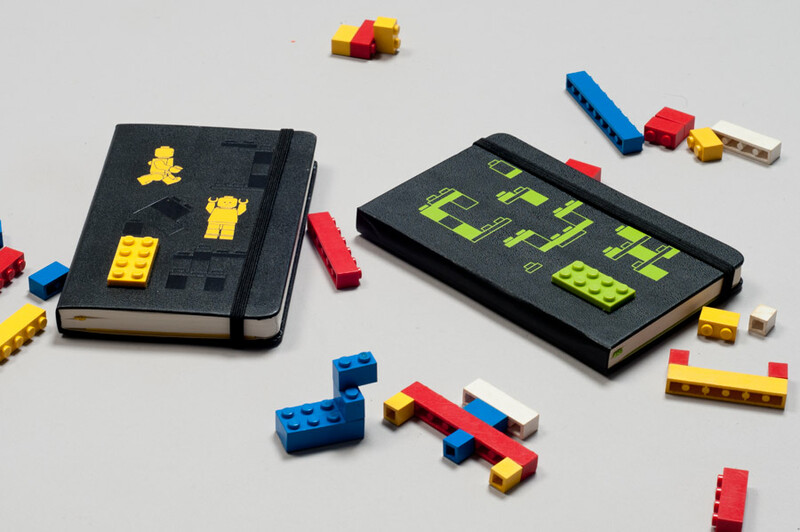 Eventually I came up with the basic idea of using the bricks graphics, creating some colorful abstract constructions to decorate the cover and work next to the real brick. 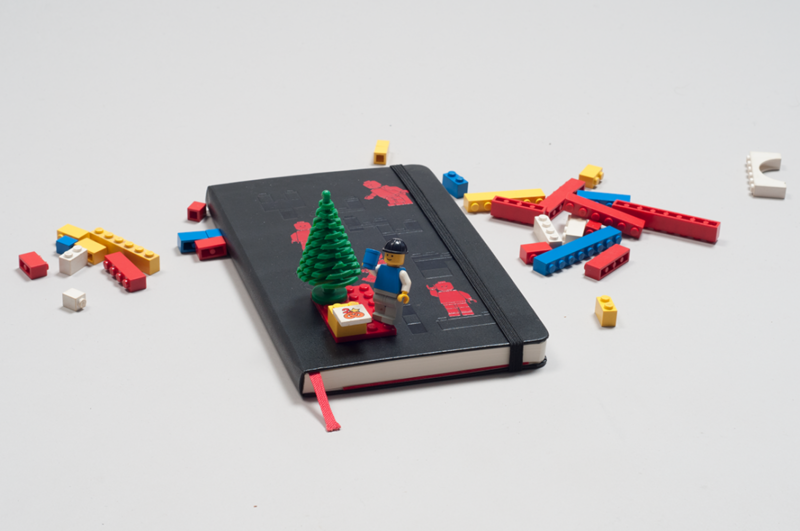 Inside the book are funny stickers allowing people to create their own Lego characters, along with a textual illustration I created using the Lego motto.